When he was only 12, Ephren Taylor started his first business venture – video game design. He was crazy about games, as most of the kids at his age. He started reading “How To Make A Video Game In 21 Days”, by Andre LaMothe, every day after school and after a few months he had coded his first game – shoot the bad guys trying to outrage on the president. Some of his friends and schoolmates were the first market for his product, they bought the first copies at 10 dollars each. Motivated by his profits, Ephren continued to develop. A year later he started working in the field of web development and design, seeing better opportunities there. He marketed his services under the name Flame Software on different Internet forums. Nobody questioned his age, because of his deep phone voice J and that he had all the needed certifications. So he started selling sites to anyone he could, with the help of site brokers, who handled the contracts. He was charging a fixed price of 200 dollars per site. This was a really low price, his competitors received thousands of dollars for similar services. But this way Ephren managed to easily grasp a piece of the market, gain some popularity and build a portfolio of sites of satisfied customers. After gaining some momentum, he made the good business decision to raise the price of his services. Soon checks started flooding into his mailbox. His parents were a little worried about this. They even thought their son had become a narco boss when one day Taylor received a check for 3 800 US dollars. Ephren made his first million of dollars when he was just 16 years old when he and his friend Michael Stahl built a site for job offers for college and high school youngsters – GoFerretGo.com. The young entrepreneurs were in shortage of advertising money, so they started marketing their new venture publishing articles about their great business idea in local newspapers and media, a good lesson for anyone getting a business degree. People happened to enjoy the new idea and from mouth to mouth their business became popular. The site got thousands of visitors very soon. The price of posting a job offer was set to 38 dollars. Soon Taylor found himself selling his work cheap when he found out that big companies, like Citigroup ,were willing to pay thousands to find young and motivated workforce. Soon, the young business managers rented an office because of the expanding venture. They even hired their school history teacher to help them with the work. Their company reached 3,5 million in market value, but unfortunately broke apart after the burst of the tech bubble in 2001. 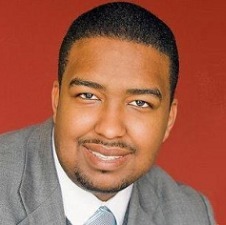 Ephren Taylor has started or acquired about one hundred businesses since the start of his career as an entrepreneur. He is the first African American CEO of a publicly traded company. He is also the author of several books, one of which is the bestseller “Creating Success from the Inside Out”. According to him, setbacks in business are something normal and a great opportunity to learn. He is a believer in the maxim “failing well” and that the failures help for the ultimate success to be achieved.